My parents and I engaged their services after seeing their profile on Houzz and after a few meetings we decided to engage their services. Alan and his creative team managed to design a home that we truly love despite the many challenges of both time and budget constraints. We are not the most easy family to work especially when we all have our own demands and requirements. But nevertheless, we applaud them for being extremely patient and understanding. Their contractor's workmanship was very good and we highly recommend their services. 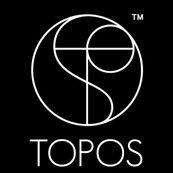 Wishing TOPOS all the best!